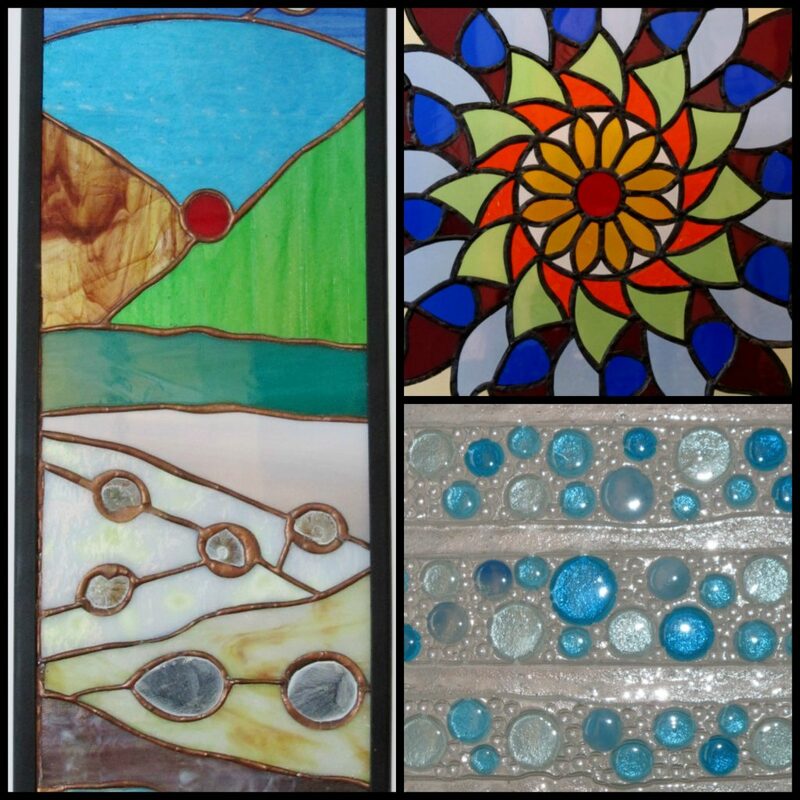 This summer’s visual exhibition features the work of Wivenhoe’s Railway Glass Studio, based in the Wivenhoe Business Centre. The Railway Glass Studio comprises five artists – Alison Chapman, Sue Davies, Anna Popkin, Jenny Spillane and Claudia Uller – all trained by the late Rosella Chester at her workshop in Barrack Street, Colchester. 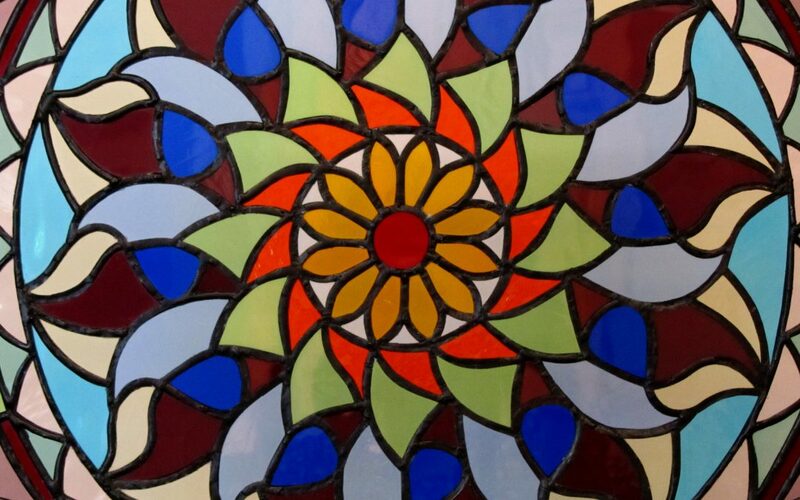 They specialise in classical techniques of lead and copper foil stained glass and fused glass, namely panels, objects and jewellery. The work is original and individual to each of them. They are happy to accept commissions, repairs and offer tuition in stained glass techniques. Their work has been shown at the Mercury Theatre Colchester, the Guild Hall in Lavenham, the Glass Bead Exhibition Colchester and the Artist Market at Firstsite. They regularly take part in Essex/Suffolk Open Studios and various artists markets throughout the year. 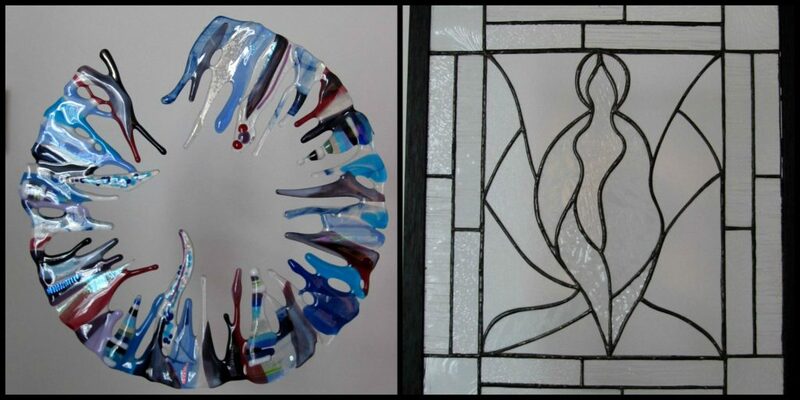 Contact details for commissions: Email: railway.glass.studio@gmail.com/ Tel: 01206 271039. 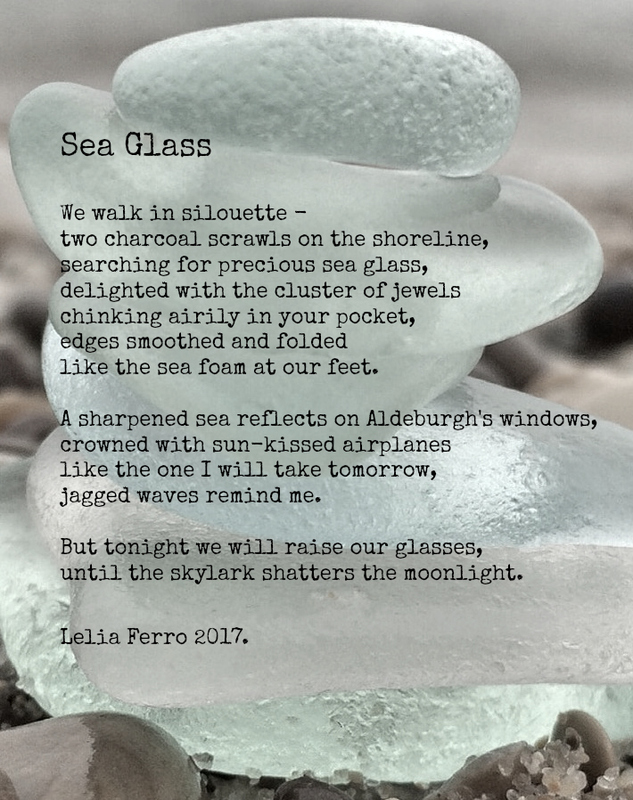 Platform 1’s Poetry Cabinet is entitled Sea Glass, and was written by Lelia Ferro. Design by Deborah Talbot (original photo Wokandapix). If you would like more information on the Off the Rails project, or would like to organise an exhibition, get in touch with us at wivenhoecreatives@gmail.com. Find out more about the Off the Rails Wivenhoe in our blog about art, poetry, Essex.